“Eat poor on New Year’s, and eat fat the rest of the year” Anonymous Southern saying. New Year’s Day, rather than raucous New Year’s Eve, is a watershed time for many of us. A time to reflect on the year just gone – the disasters, the triumphs, the just-skating-by moments. And a time to plan and dream about the year that shimmers mirage-like, within touching distance, before us. 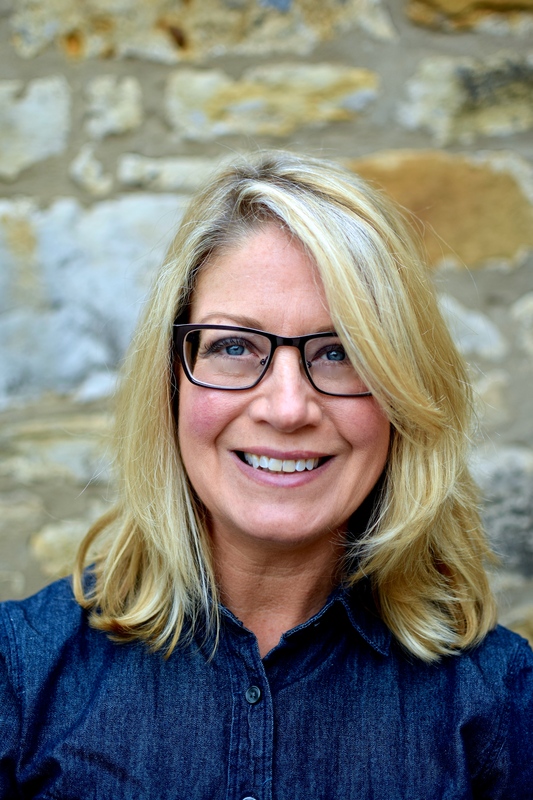 That dream holiday to the Far East, a six-figure book deal, finding ‘the one’, keeping ourselves and family clothed, fed and healthy for another year – whatever dreams and goals that keep you going. The New Year is a clean-slate, big old do-over, the calendar equivalent of moving to a new school, or upping sticks to a new country. It’s our chance to do things differently, to not carry on bumping along on the same grooved and worn path. Or, to carry on towards established goals, but with renewed vigour and lust for life. Although I am a person who believes we make our own luck, I also believe that we can help things along a bit, too. That’s where this dish comes in. 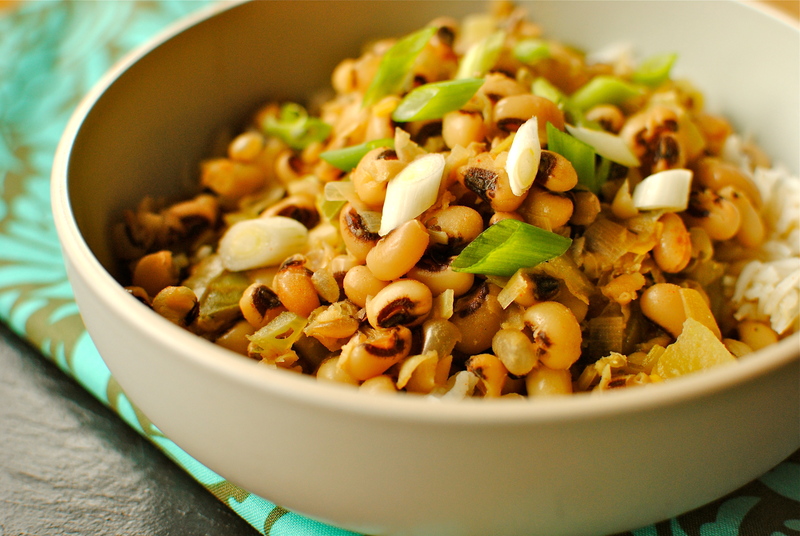 For those of you who are from, or are familiar with, the Southern United States, Hoppin’ John needs no introduction. 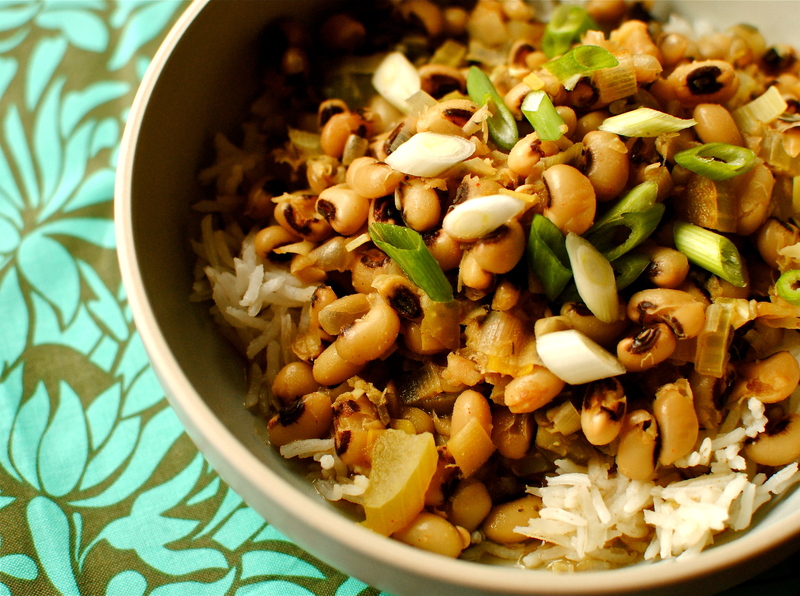 But for the rest of you, Hoppin’ John is eaten on New Year’s Day as a way of increasing luck and good fortune in the coming year. The black eyed peas of this dish are said to resemble coins that swell when cooked – equated with increasing fortune. Collard greens and cornbread, with extra corn added, are traditional good fortune accompaniments, representing additional financial benefit: ‘peas for pennies, greens for dollars, and cornbread for gold.’ Not really to my taste, but hog jowls, or slab bacon, are an ultra-trad ingredient, pigs being a European, North American and Cuban symbol of progress. Apparently it’s the rooting itself to the ground before it pushes itself forward that makes pigs so lucky. Oh the irony. Many cultures have good luck foods and dishes, whether eaten at New Year’s, on a baby’s birth, or for marriage. And interestingly, for all the vastly differing food preferences and traditions on a day-to-day basis, when luck comes into it, there are striking similarities. An interesting article over at Epicurious notes that grapes, greens, fish, pork, legumes and cake are considered ‘auspicious foods’ the world over. Fish is perhaps the most logical choice for a lucky food as its nutrition and goodness can be preserved by pickling or dry-salting, and eaten during times – and in places – where fresh protein sources may be scarce. 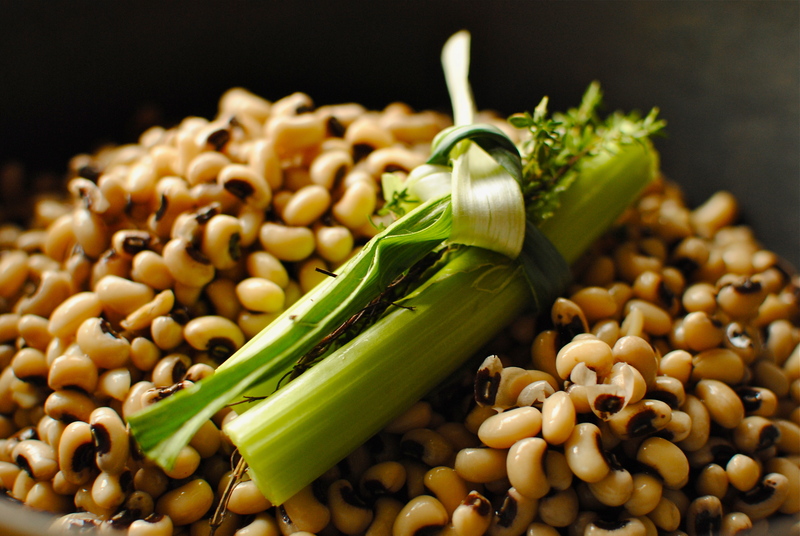 Like many food traditions that developed before most people could read and write, the origin of the name Hoppin’ John is unclear. It could be, according to Wikipedia, “a corruption of the Haitian Creole term for black-eyed peas: pois pigeons.” What is certain is that the ingredients are a variant on West African rice and peas, most probably adapted by African slaves who worked the rice fields in the southern states of the US, specifically the Carolinas. It is also remarkably similar to the Cuban version, known colloquially as ‘Hoppin’ Juan’, and to the Portuguese, Feijoada – both places historically associated with slavery or for ‘providing’ slaves. Here’s a really interesting article on global food traditions that features Hoppin’ John. 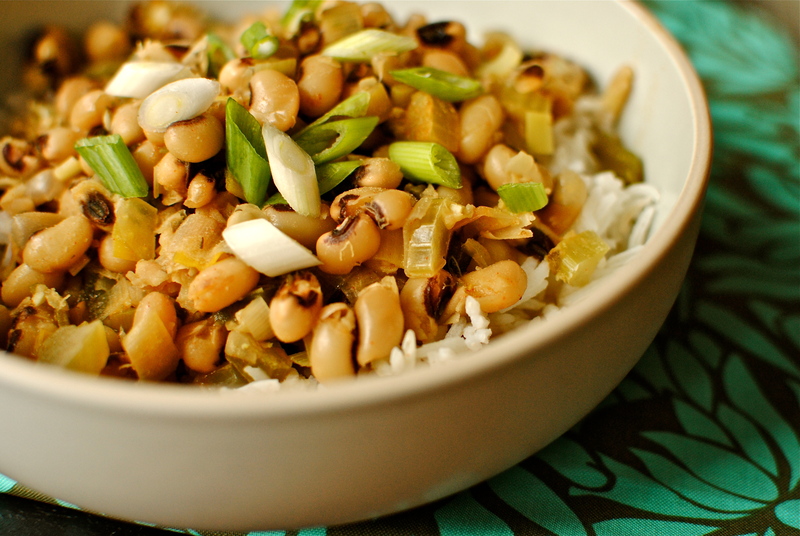 Even if, like me, you don’t really believe in luck per se, I do like the idea of food traditions, especially ones that are healthy, like this version of Hoppin’ John. I have made it without any added fat, but if you need to keep weight on do feel free to saute the vegetables in olive oil, or add some in when serving. And, if the idea of a hog jowls appeals, here’s an Emeril Lagasse recipe to help. Whatever you eat on New Year’s Day, I hope it nourishes you and sets you up for a healthy, happy and prosperous 2012. This is a meat-free version of a traditional New Year’s Day ‘good luck’ dish from the southern states of America. You can use tinned beans but the tiny raw beans cook well from scratch. For more guidance on bean cooking, here is a reassuring article from What’s Cooking America. Bring water to the boil and place in a pressure cooker with the washed dried peas – you want it to be at least double the volume of peas. Lock the lid and leave for 1 hour. Drain and thoroughly rinse the peas. 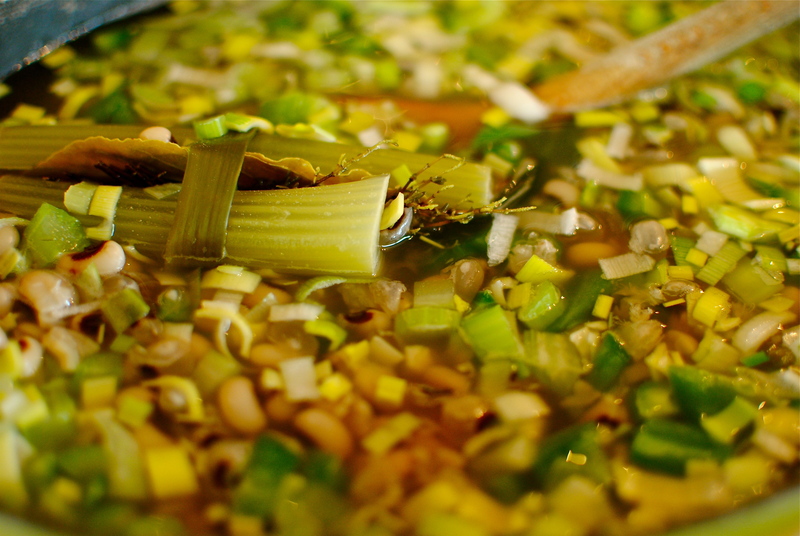 Put the fast-soaked peas in a large, deep pot with the 1500 ml of water and the bouquet garni (if using), bring to the boil, then simmer gently for 20 minutes. 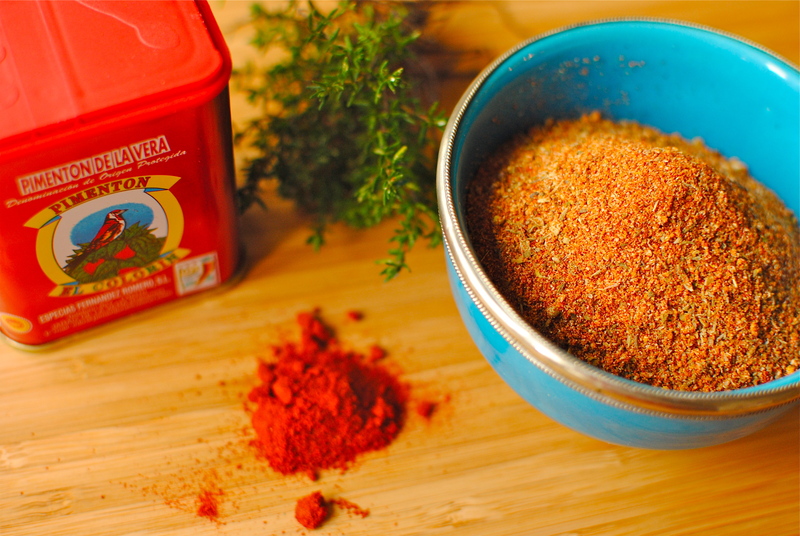 Add in your stock powder’s recommended amount for 1.5 litres (Marigold Swiss Vegetable Bouillon is 4 tsp per 500 ml of water), along with the vegetables and spices. Continue simmering for 20 minutes, until the vegetables are cooked. If at any point it looks like the liquid needs topping up, do so, but it should be plenty ‘soupy’. The reason I don’t add the stock powder at the initial simmering stage is that the salt can make the beans hard. Serve over rice, topped with sliced spring onions and spiked with hot sauce if you like. It is traditional to have this dish with well-cooked collard greens and cornbread, but it is hearty enough without it. If you want the greens, kale makes a good alternative to the hard-to-get collards. I’ve honestly never tried Hoppin John before, but I’m familiar with the tradition. I’m like you, and tend to believe that we make our own luck, but it never hurts to have a little extra help! Loved you blini post too, and can’t wait to make some gluten-free blini’s with smoked salmon-yum! Your passport story had me chuckling too 🙂 I wish you and your family a most wonderful new year! Happy New Year to you and your young family, too! The Hoppin John is probably a little late for most people but it doesn’t hurt to have it out there. I didn’t add that we called the peas ‘grandpa wayne shoes’ after my grandfather who wore spats to church. Don’t they look kind of spattish to you? Do you have any traditional recipes such as this? Oh, let me know if you make any g-f blinis and if you have a good ‘lightning up’ flour to blend with the buckwheat. I really would like to know. Cheers! Thanks, Daphne. Hope 2012 sees you healthy and causing all kinds of mayhem! Happy Hogmanay, Happy New Year, Bonne année et bonne santé! This is such a fun tradition! I’m familiar with Hoppin’ John but have never made it — I need to, and it looks so delicious I don’t think I’ll wait until next year, lol! Wishing you and yours a very Happy New Year! Thank you, Faith. I Hope you have a wonderful 2012, too.PS I didn’t take photos of leftovers but they were lovely and creamy, with a swirl of glorious hotsauce and squirt of lime – I recommend the lime! Thanks Kellie for a super recipe. As I am newly acquainted with a pressure cooker, I’m a little confused at your directions in the recipe. Do you mean that you cook the beans for 1 hour, or that you bring them to a boil, put the lid on and turn the heat off? According to the directions on my pressure cooker, they only need about 6-8 min at high pressure. I’m really looking forward to trying out the recipe. I love your blogg, which I only just discovered and will definitely be coming back every so often. Hi, the beans aren’t pressure cooked (unless you want to) but I find the overnight soak one needs for even pressure cooked beans (not lentils though) is negated with 1 hour soak in just boiled water. The pressure cooker lid is just to ensure the heat doesn’t escape. From there, if you wanted to cook them 6 minutes sounds right. Thanks for stopping by. I’ll check my instructions on this post for clarity!